Get Your Passports Ready Because We Are Heading to Dubai. Here Are the Top Things to Do in Dubai to Make Your Trip as Memorable as Possible. Dubai is a city of rapid growth. 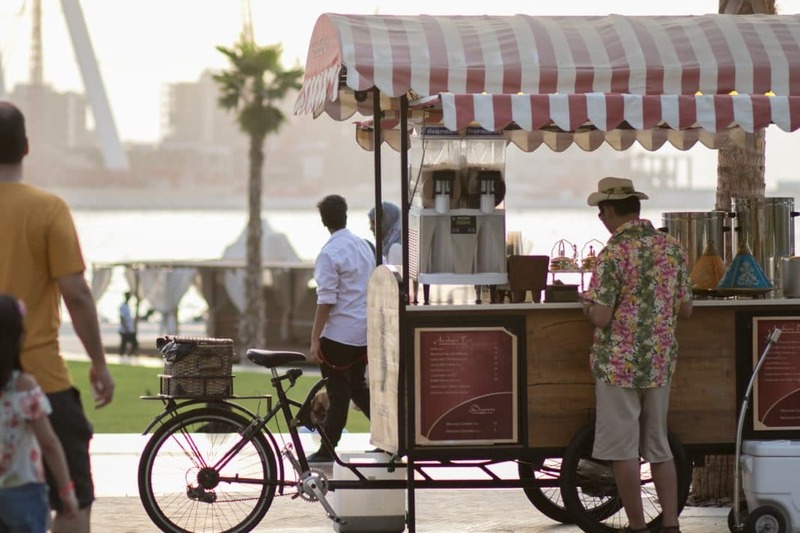 Things are constantly changing in this United Arab Emirates city, from the food scene to the art scene to the infrastructure. To be in Dubai is to experience skyscrapers and spices, history and culture, desert and skiing, ambition and excitement, mega malls and 5-Star hotels. The city is a mecca for tourists and businesses, creating a place rich in cultural diversity. In fact, the majority of the people living in Dubai are foreign expats. Though known as the city of the super rich, it is also the city of the super poor – the side of Dubai that many globe-trotters, unfortunately, overlook. Whether you are intrigued by the history, excited about the shopping, or simply don’t know what to expect with a trip to Dubai, our list of things to do in Dubai has options for everyone. In this city, there are man-made islands peppering the coast, architecture masterpieces that surpass any in the world, bright lights and a fast-paced lifestyle. Imagine all of that paired alongside traditional, historic quarters. This blend of contrasts and contradictions is truly something you need to see to understand. Whether you are preparing for a trip to Dubai, or are dreaming about the day you will set foot in this thriving city, here are the top things to do in Dubai. There are all of the must-see attractions that make Dubai Dubai. Is there any hotel in the world like the Burj? This self-proclaimed ‘7-Star’ hotel is situated on the coast of the Persian Gulf and was designed to resemble a waving sail. 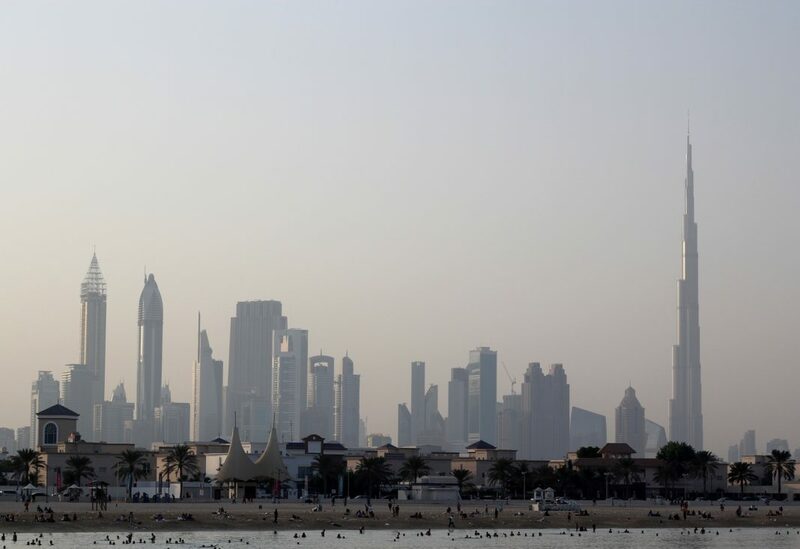 Not only is the Burj on the coastline, but it is perched on its very own man-made island. The hotel’s one-of-a-kind architecture has fascinated individuals from all over the world and has become an iconic structure associated with Dubai. There are many places to view this famous hotel. We recommend at least stopping by for a quick selfie while in Dubai. If you want more than a selfie, you can actually stay in this hotel. Although, we hope you have money to spend. The Burj is known as one of the most luxurious hotels in the world, which means it will cost you. The interior of the hotel radiates splendor and elegance. It is the highest of high class. The Burj is not only a glorious piece of architecture, but it is also a symbol of Dubai. 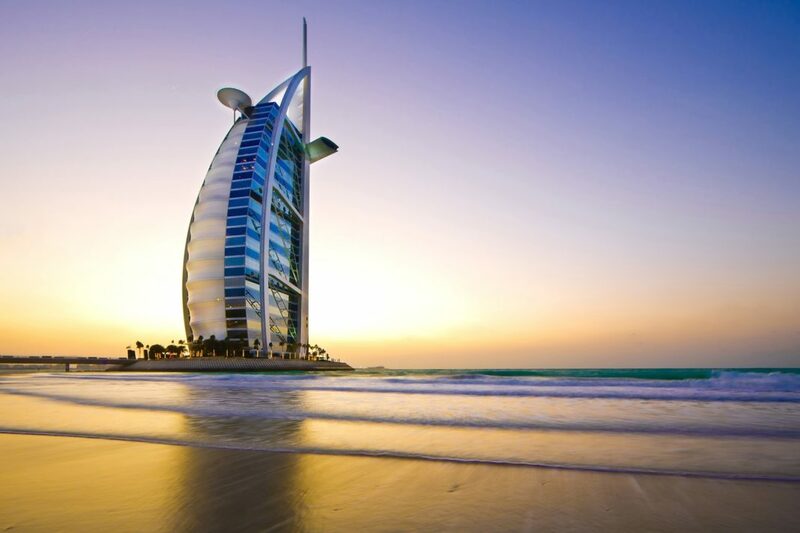 Whether it is for a selfie or a stay, visiting the Burj Al Arab is a top attraction for travelers visiting Dubai. We encourage you to put it on your itinerary of things to do in Dubai. Downtown Dubai is a shopper’s paradise. With over 1,200 shops, the Dubai Mall is one of the largest malls in the world. Travelers can quite literally shop until they drop. For serious shoppers, it may be a whole day affair (if not more) and take in all that this shopping mall has to offer. Stores are high-end and ready for your business. If you foresee yourself doing a lot of damage at the Dubai mall, we hope you pack enough room in your suitcase for all your brand-new items. Or, at the mall you can purchase a new suitcase to bring back all of your purchases. Not only are there shops at the Dubai Mall, but there are also 150 restaurants, an indoor waterfall, an ice skating rink, an aquarium, an amusement park, and the iconic outdoor fountain. While you are at the Dubai Mall, you have to see the Dubai Fountain. Just step outside and you will be there. What is the Dubai Fountain? Think of the Las Vegas Fountains of Bellagio, only on steroids. As water shoots 490 feet in the air, prepare to see flashing lights, streams of color, and hear it all set to music. To witness this evening fountain show is a treat when in Dubai. When traveling to Dubai, Burj Khalifa is a can’t miss even if you tried. This masterpiece skyrockets into the sky and stands at a wondrous 828 meters. The impressive engineering makes Burj Khalifa a true work of art. However, not only is the exterior a work of art, but the walls of the interior are lined with Middle Eastern and international artwork. The building itself houses office space, private residences, and the Armani Hotel. Travelers who wish to stand at the tippity top of the building can do so too on the 124th-floor observation deck. Hungry? Dine in the world’s highest restaurant, At.mosphere. There is a lounge and a restaurant at At.mosphere. We suggest stopping by at least for high tea (how much higher can you get? ), pastries, and traditional delights. Are mega malls not your cup of tea? For shopping in a more traditional atmosphere, visit the Gold Souk while in Dubai. The Gold Souk, or bazaar, received its name because it used to be the main area of trade in Dubai. Laced with history, the Gold Souk is a market worth venturing to. Visitors can walk around and enjoy the experience of what commerce was like back in the day. For gold, glitz, and glam, this souk is an impressive place to visit and certainly among the top things to do in Dubai. If gold is not your jewelry preference, the souk also sells silver, diamonds, and platinum. Above all, remember that when purchasing jewelry from the Gold Souk, bargaining is fair game. After some negotiation, vendors will often chop down their prices. With the Gold Souk located in a more traditional part of the city, we advise that travelers be conscious of their dress and demeanor. Clothing that passes elsewhere in Dubai would be seen as inappropriate here. That said, we always encourage travelers to be mindful and respectful of local customs and values. This public beach is the place to catch some rays, appreciate the crystal waters of the Persian Gulf, and take advantage of water activities and sports. Also, Jumeirah Beach is located only a short walk away from Burj Al Arab. Snap a photo of the iconic structure while enjoying your time on the soft white sand. Along the beach, there are cafés, as well as places to picnic and barbecue. In addition, the Wild Wadi Water Park and Madinat Jumeirah are nearby. After delighting in your time spent at Jumeirah Beach, we recommend visiting Madinat Jumeirah (translated to “City of Jumeirah”). Madinat Jumeirah is a where tradition shakes hands with luxury. To see this development is also one of the top things to do in Dubai. Jumeirah Mosque is one main attraction in the city of Dubai. From the white exterior to the detailed painted interior, the structure’s architecture and design is a work of art. Jumeirah Mosque is arguably the most beautiful mosque in the city. While there are some mosques in Dubai that don’t allow non-Muslims to enter, non-Muslims are welcome to enter Jumeirah Mosque. In addition, one-hour guided tours are offered by the Sheikh Mohammed Centre for Cultural Understanding. These tours occur every Saturday through Thursday at 10 am. Keep in mind that those planning to enter should dress in a modest fashion with arms and legs covered and women wearing a headscarf. If you don’t have the appropriate clothing, the mosque is pleased to provide traditional clothing for visitors to wear into the mosque. Though the city itself draws in tourists with its skyscrapers and flashing lights, to visit Dubai you cannot neglect a visit to the desert. Especially when the Arabian Desert is less than a 20-minute drive from downtown. 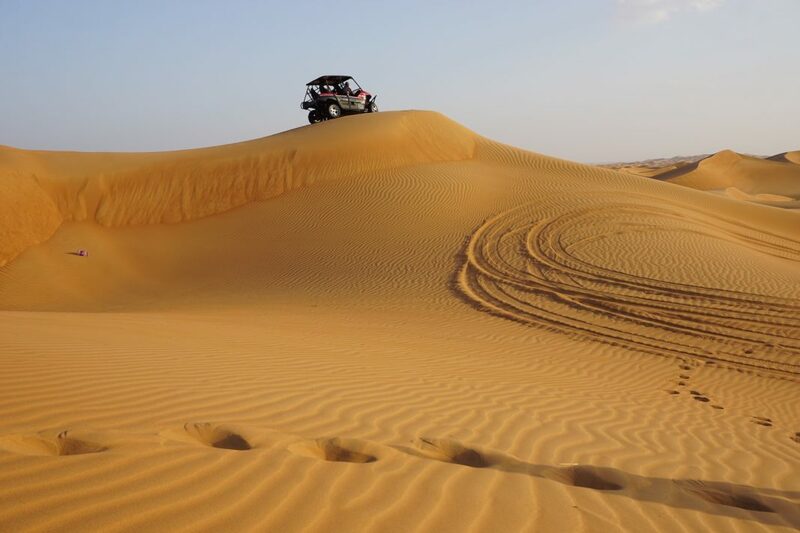 Go off-roading, sandboarding, safari touring, and camel riding while on your trip to Dubai. The Dubai Desert Conservation Reserve is the UAE’s first national park and a place that offers 87 miles of desert to wander in. The only restriction is that visitors cannot wander on their own. However, this shouldn’t be a problem. The park offers numerous guided tours and activities, both for the leisure travelers and the adventurous travelers. The desert is a great place to get a taste of the Bedouin lifestyle. When the fast-pace of downtown Dubai becomes too much and you wish for a change of scenery, take a trip to the Arabian Desert. When in Dubai, how can you not? This is one of the best things to do in Dubai. In what other cities can you spend the morning in the desert and the evening skiing down the slopes? Dubai is the only one. Located within the Mall of the Emirates, there is an indoor ski resort where travelers can buckle up their boots, click into skis, and shred powder on the slopes. The resort has equipment rentals, ski lessons, chairlifts, a freestyle snowboard area, 5 slopes, and more. The best part about the resort is that it is open year-round. The slopes are also clocked in fresh snow every day. That means, ideal conditions all year-round, every day. A step inside the facility will shock travelers – both by the sheer amazement of an indoor ski resort and, more specifically, the startling temperature. Going from the outdoor’s triple digits (in degrees Fahrenheit) to the indoor’s freezing temperature will be something to get used to. Thankfully, Ski Dubai is not without options to warm you up. When your fingers and toes cry out for warm relief, a cup of steaming hot cocoa will be able to defrost you. Especially when that glass of hot chocolate is topped with whipped cream, baby marshmallows, and M&Ms. Can you guess what you will find at Kite Beach? In addition to the emerald waters, you’ll find kites galore soaring in the sky. Kitesurfing is the popular activity of choice on this particular beach. Travelers can come, sit on the white sand, and watch as rainbow kites zigzag with the wind. At this public beach, travelers can also partake in a beach volleyball game, a beach tennis match, or a kayak ride in the water. If you like watersports, then you will like Kite Beach. On Fridays and Saturdays, Kite Beach is crowded with people checking out the kitesurfing scene, eating from food trucks, and purchasing crafts from the seaside market. When we say the weekends get crowded, we mean crowded. While we recommend visiting to see the bustle and excitement that a Friday or Saturday at Kite Beach brings, many travelers would suggest staying away and coming back at a less busy time. Whichever your personality prefers – busy or slow – go during that time. There is no better place to beat the heat and be a kid again, then taking a splash at Wild Wadi Waterpark. With 30 water rides to cruise down, travelers will lose track of time as they whirl down slides and get drenched in water. The park also has the largest water slide outside of North America. Rides range from thrill-seeking steep slides to a more laid-back float down the lazy river. Within the walls of the waterpark, there aren’t only slides. There are also snack shops, restaurants, and gift shops. Though many highly recommend adding a trip to Wild Wadi Waterpark to your list of things to do in Dubai, some travelers have noted that the park was too pricey for them. Apart from the cost, travelers have nothing but great things to say about their trip to Wild Wadi Waterpark. Should you decide to go, we are sure families will all leave smiling, laughing, and with a bucket full of new memories. The park is conveniently located next to Jumeirah Beach and the Burj Al Arab. It is open daily from 10 am – 6 pm. 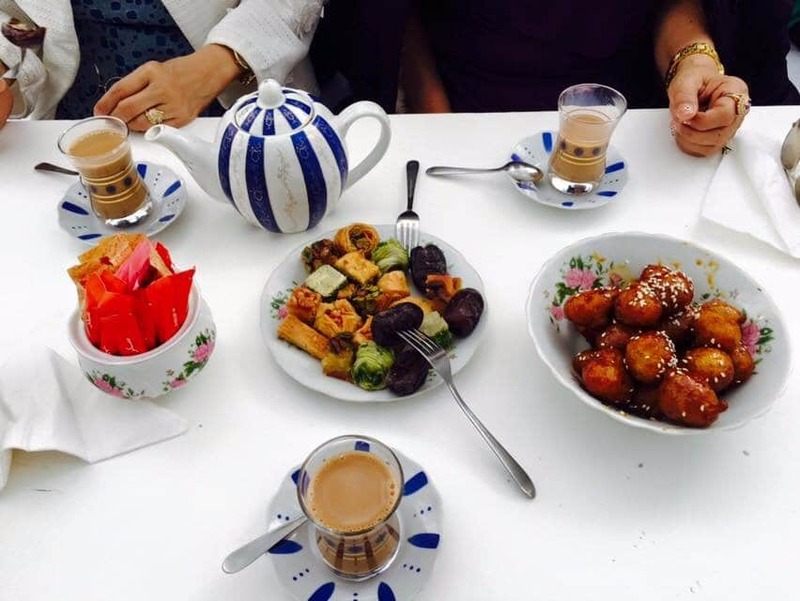 With an authentic ambiance and traditional cuisine to match, the Arabic Tea House is a must-see for Dubai. The décor is charming. The bread is made fresh and arrives hot. The tea is minty and sweet. The atmosphere is buzzing with chatter and laughter – other customers enjoying their food and conversation – though also quiet enough to feel like a place of refuge. Not only do tourists stop by the Arabic Tea House, but locals eat here too which is a proof of how good this teahouse is. Within the lovely walls of the teahouse, you’ll most likely find yourself lingering longer than expected. Time will fly as you sip your tea and enjoy the company of those you’re with. For many travelers, once they visit the Arabic Tea House for the first time, they end up returning. And they keep returning… Visiting this teahouse at least once (but probably more than that) is one of the best, most authentic things to do in Dubai. To understand Dubai’s transformation from a desert community to a bustling city, head to the Dubai Museum. The museum is soaked with information. What’s noteworthy about the city of Dubai is that it is constantly changing and being reshaped. The Dubai Museum will give travelers a better sense of how this rapid growth occurred and in what direction the city is headed. The museum itself is housed in the oldest building in Dubai, which is Al Fahidi Fort. The museum is open Saturday through Thursday from 8:30 am – 8:30 pm, and Friday from 2:30 pm – 8:30 pm. Not only is the Dubai Museum’s building steeped in history, but the area around the museum holds traced of Dubai’s traditional roots as well. The area is known as the Creek. Here is where travelers can find gold and spice souks, in addition to textile souks. Therefore, both in the museum and in the surrounding area, visitors can learn about Dubai’s fascinating history and culture. In Dubai, there is a place for travelers who desire luxury and vibrant city life, as well as a place for the quiet, slow travelers who are eager to observe culture and traditional life. Dubai is full of contrasts. Travelers either leave fascinated by the city and hungry to return (for the food and for the city at large), or they find that Dubai is not their top place to be. You won’t know until you go. And again, since there are such diverse places to explore and discover, odds are that you can find places you enjoy within this bustling city. From the shopping scene to the food scene to the art scene and beyond, Dubai is full of flavor, color, and life. Contrary to popular belief, a trip to Dubai doesn’t have to wipe out your entire bank account. While there are expensive, high-end things to do in Dubai, there are also free things to do in Dubai. 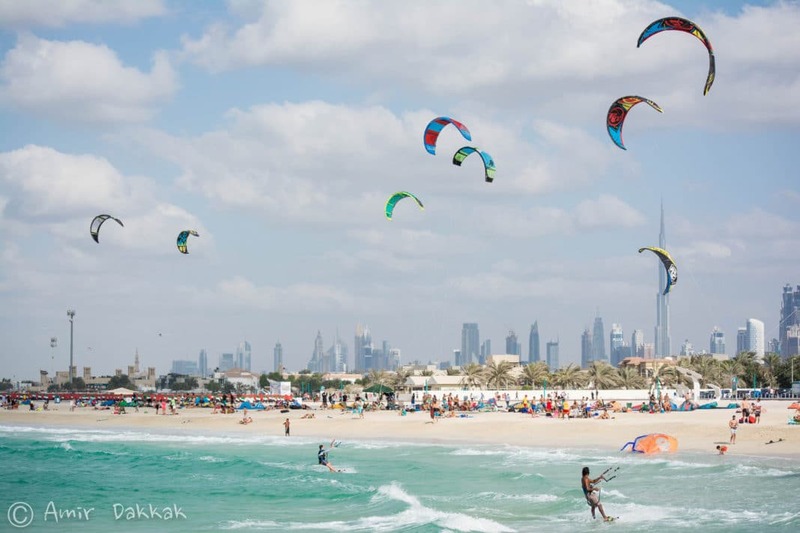 Among them are watching kites soar high on Kite Beach, strolling through the Gold Souk, observing the impressive architecture of Burg Al Arab and Burj Khalifa. We hope you found this list of the best things to do in Dubai useful. Do you have anything to add? If you have traveled to Dubai before, we would love to hear about your favorite things to do in Dubai! Share in the comments section below. I recently went to Kite beach and I Can’t say how much I enjoyed. It is one of my favourite beach . That’s awesome to hear Shedi!